To appreciate teaching, try learning. The violinist Nicola Benedetti wrote an interesting piece for the ATL magazine (‘Final Word’, March 2018) on the educational-developmental value of learning a musical instrument. She is entirely correct, that pursuing such a discipline (and never was a word more appropriate) from an early age is an excellent catalyst to wider learning. It is also a lot harder than many classroom subjects. The challenge to learn a complex practical/technical skill. The need to acquire (and often commit to memory) a large body of detailed knowledge. The need to understand (and apply) complex theoretic underpinnings. …a much larger ‘whole’ whose effect depends on those niceties , but also the ability to appreciate a higher level over-view. A combination of hands-on practical learning and received wisdom from an accomplished exponent. The complete fusing of those technical elements with the objective of an expressive, aesthetically-rich end-product. The possibility of experiencing ‘flow‘ in the process. The ability to deploy the skills acquired in original, creative ways. An immediate and very informative (audible) feedback by which to judge one’s efforts and make considered improvements. An objective that is (almost) entirely intrinsic – making music is principally its own, deeply satisfying reward. In addition, one might add significant personal development in the challenge of performing to (and thereby communicating with) other people. After a long break, I have resumed playing my own instruments (at last, the inner ‘spark’ has recovered enough to make this needed…) and all over again I am being reminded of the inherent truths in the above. I have ‘gone back to school’ in another way too: I am now about a third of the way through an online diploma in interior design, which has always been an interest and ambition of mine. Again, the experience of being a learner (complete with tutor, student number and deadlines to meet) is proving informative. In a rather different way, this subject is also a combination of the technical and the creative, and it is also very satisfying. But while the usual scaffolding of learning objectives, assessment criteria and more are present, it is the sheer affective reward that is making it worth doing. Personally, I need nothing more to re-convince me of the value of the kind of intrinsic-worth education I have always advocated – and on which I thought I would be drawing when I entered the teaching profession. There really is no better way of appreciating what education is ‘for’. Doing this reveals the innate truths of the matter, and in so-doing also exposes the endless techno-babble that now surrounds formal education for the needless froth that it is. One can only appreciate these things by doing them – but once done, no further justification is often needed for either the process or the purpose. Trying to describe this to those who have never felt it for themselves is like trying to describe colour to the blind – which is probably why it is precisely the subjects that offer the most intense experiences of this kind that are under constant threat from the philistines who now largely seem to run state education in Britain. (The independent sector has always known rather differently of course, and the arts seem to remain valued in those schools and with those parents). I’m inclined to suspect that those who regularly reduce education to bean-counting and conveyor-belt monotony either have never felt these things, or did so such a long time ago that they have forgotten: the richness before their very eyes suffocated beneath the weight of targets and techno-rubbish that they typically seem to live and breathe. It would be satisfying to end by saying that is only their loss – but unfortunately, it is not true. Autumn term 1975. Monday morning started with double woodwork – and for me the slightly strange experience of learning in my father’s department. Although it’s perhaps a pity it didn’t come mid-way through the week, I always looked forward to the lesson (which was not taught by my Pa…). Given the academic routine of the grammar school, I found great pleasure of making dovetail joints or turning bowls on the lathe for a change; in present-day terms, there is something very mindful about it. Unlike certain of my father’s colleagues, I never saw practical lessons as inferior, and I think it is where my now much-valued aesthetic appreciation and streak of perfectionism came from. I well remember my father’s fury when, one day he was summoned to the Headmaster’s office (where he was still seen as the chippie) and instructed to repair fifty wooden exam desks. He replied that he was not the odd-jobs man. Indeed, he was and is a highly-skilled cabinet-maker. This recollection is particularly in my mind at the moment as my father, now 83, (and still turning out violins for a hobby) is currently collaborating with a young friend and me to construct a facsimile of a mid-century Scandinavian piece of furniture by Kai Kristiansen in American black walnut (shown in rosewood above). It is a wood he has never worked before and he is quite excited by the prospect; it is proving to be a most enjoyable experience, which has ranged from researching the original, to analysing the construction, adapting it for the workshop and personal taste, to sourcing suitable timber. A specification and price has been agreed, and construction will start shortly. Practical skills have been repeatedly looked down on by educators in this country; it is though they are somehow insufficiently worthy, given their apparent lack of intellectual rigour. My former teacher Peter Whitton also knew this was not true, for despite being a Classicist, he was never happier than in his woodwork shop, where he too turned out fine pieces. At the other end of the spectrum, I know individuals educated to the highest academic levels, who are not able to perform the simplest practical tasks for themselves, and who seemingly lack any ability really to appreciate (in the deep sense) beauty or fineness of work. They may have a trained minds (and I’m all for that) but they seem impoverished in other ways. Is this the cost of the narrow emphasis on academia? The ultimate sadness for my father came some years ago when the Craft & Design department he had founded and developed over forty years was closed to make way for a computer suite. No more opportunity for today’s sixth formers to do something practical as part of their week’s programme. This is deeply short-sighted: many highly-educated people do also appreciate the arts and practical crafts; they provide a complete diversion into another deeply-rich aspect of life which I for one would never be without. Peter also knew this, as did the many clearly-thoughtful people at the Perry exhibition. Only target-chasing educational managers seem snooty enough to disparage the personal empowerment to produce and appreciate tangible works, and to operate in the practical world as well as the intellectual one, that comes from learning these things. Our neighbouring nations such as Germany have never disparaged practical skills either – and a comparison of the two nations’ economies says all that is needed in that respect. I only have to look at the TES jobs bulletins in my inbox to see the teacher recruitment crisis. I don’t think I’ve ever seen so many Geography vacancies in one year before. At the moment, I have no inclination whatsoever to investigate, but in any case going through the stress of a searching interview process is out of the question at present. I base much of my world-view on the suspicion (I won’t say belief) that there is something equating to Natural Good in terms of the human condition. We perhaps cannot know with precision what such things are, but I sense that there are certain conditions that promote or inhibit what the ancient Greeks called Eudaimonia, or flourishing. We may not be able to measure or even define them – but that is not to say that they don’t exist. Certain conditions promote thriving in plants and animals, and I can see no reason why the same should not apply to humans. For all that we are much more complex, history brutally shows us what happens when people are deprived of their own nourishing talus. Our nervous systems transmit information about bodily adversity or wellbeing, and as my recent experience shows, mental states are actually little different. Put a human being in adverse conditions and it eventually withers. This is, I suppose, also the foundation on which Maslow’s now rather over-exposed Hierarchy of Needs was based. My last six months has been about putting myself back in a more benign environment where recovery can occur – and that has meant, not at school. I think it shows in my face, and certainly some of my niggling health issues are much reduced. What more evidence do you need? At a time when large numbers of people in this country and elsewhere seem to be feeling that their needs are being neglected, it’s tempting to discuss the wider societal implications. But suffice it to say that I’ve always seen the job of the teacher as enriching the ‘soil’ in which individuals can grow. Planters of seeds we may well be, but we also need to prepare the ground. Traditionally, this involved a gentle, nuanced approach. My experience was that while the academic demands were high, the general climate was relaxed and warm. I don’t mean soppiness or neglect – but rather the way in which the pressures of growing up and passing through the schooling system were softened by the personable approach of those who delivered it. Even teachers who terrorised their classes: I recall one such gentleman who, behind a fearsome exterior, was surprisingly gentle. In their way, our teachers shielded their seedlings until such time as they judged them ready to be planted a little further out. The chill winds that have blown through western society in recent decades have put paid to much of that. The subtlety of gradualist approaches has been replaced by an in-your-face demand to deliver. The scope for a gradual, artful nurturing of young people has given way to an unsubtle rat-race. In the obvious but wrong-headed mindset of more-is-better, pressure on teachers and pupils has been ramped up in ambitious schools seemingly with little consideration of whether this is indeed a better way of getting the best out of people. My feelings say that it is not – and as an approach to education, it is as counter-productive as it is bleak; as an agony columnist wrote recently, if it feels wrong, it probably is. The trouble with feelings is that we can’t be much more precise than that; they are easily dismissed as anecdote – but if that is the best we have to go on, then we probably should. While there is some truth in ‘no pain, no gain’, there must come a point where a Rubicon is crossed and the discomfort becomes destructive. In terms of working life, if people feel pressurised, rushed off their feet and anxious, this is not helpful. A little stress may be helpful, but it very quickly gets out of hand – and there is a difference between a controlled, gradualist approach to, for example public exams, and a general pandemic of ‘stand and deliver’. Which is the one thing it signally fails to do. As Daniel Pink has observed, motivation comes from having autonomy, mastery and (inner) purpose. They are some of the natural ‘goods’ that I mentioned earlier. Without them, the incentive to do demanding things rapidly evaporates. I think they are as important as clean air and water, good diet and decent living spaces. But being ephemeral, they are easily ignored: the scrabble to deliver Results in British education has resulted in the ditching of anything that was apparently an impediment, from a large part of the extra-curricular life of many schools, even taught subjects that appeared not to contribute to the bottom line – and most certainly the measured psychological landscape in which people function well. But if you take away the sense of community, (often by enlarging schools beyond sensible capacity) ditch the various communal events that used to punctuate the school year, and put people under such unremitting pressure, then you shift the balance between the necessary challenges of school life and the bits that soften the experience. If people are made to feel unappreciated and expendable, then it is unsurprising if their loyalty and commitment evaporates. If no slack is ever cut or compassion shown, then it should be unsurprising if people respond in kind. I think this is increasingly true amongst pupils (note the current surge in childhood mental health problems) – but it is probably the teachers who feel it most. Even for teachers, if schools ramp up the less pleasant aspects of the job while simultaneously ditching the bits that offer the payback, it is not surprising if people decide it is no longer worth it. Many studies have shown that particularly in high-skill work, a pay-cheque alone is insufficient reward. This was my experience: whether to struggle to get back to work as quickly as possible, or not. In the end, returning to the conditions that precipitated my problems in the first place was just not worth it. It seems I’m not alone: gone to other lives, every one. Present-day schools may have a tight management model – but it comes at the cost of the wellbeing of many who people them. Chrisanicholson’s reply to my previous post prompted the realisation that it could be read as a justification of the kind of unaccountable personal philosophies that have arguably caused a lot of damage to education over the decades. This was not my intention – but I stand by my view that the only first-hand experience of learning (and of life in general) possible is our own. Everything else depends upon observation, proxy indicators, assumption or at least interaction, the accuracy – let alone transferability – of which is indeterminable. I also suggested that this may be why it has proved so difficult to move professional discourse beyond the anecdotal and value-laden. I hoped to show why that might not, however, be as problematic as it might seem. I was categorically not rejecting the insight that sources outside ourselves can provide (far from it), but this need not run contrary to the argument that each individual’s starting-point can only be their own experiences – even if it does contradict the current technocratic view of teaching. In some cases, these experiences can run deep enough to constitute an individual world-view that it is difficult, and perhaps undesirable to challenge. Given the nature of teaching, our practice cannot but be grounded in our own experiences of the world – starting with our choice of subject. It may also be worth remembering that in other ‘caring professions’ such as psychotherapy and social work that also depend heavily on individual participation, practitioners themselves regularly undergo introspective analysis for both training and therapeutic reasons. Therefore, time spent reflecting on the nature of, and route to that success may well be productive – even if we then seek additional interpretation elsewhere. And given that our own formal education may be rapidly vanishing into the dim past, it is perhaps worth examining more recent experiences, and indeed seeking them out as a means of professional (and personal) growth. Furthermore, I would suggest that we consider all forms of learning, not only the obviously formal ones. So I have compiled a list of my own conclusions to date. They may make sense to nobody but me – I hope not – but that may be the very point. Some have only become fully clear as I have sought external interpretations, but they nonetheless remain among the most important instruments of my own practice, and at least as useful as anything more institutionally derived. Growing up in a home where education was valued to the point of being in the oxygen was, I now see, essential for my later-life values. But this is not at all the same thing as having learning pushed (too) hard at me by my over-anxious parents, which if anything had the opposite effect. Their best ‘lead’ was by example. Finding one’s metier is important.There are some things in life that appear to have in-built fascination. This is not always explainable, though they may hark back to early-life experiences of which I have at best dim awareness. That interest is experienced emotively, and it is a very useful motivational ‘hook’. A key motivator has always been ‘benign envy’: the inspiration of encountering people who could do things that resonated with me, and which I desperately wanted to emulate. The best of those people were humble about, but assured in their abilities. Yet outward competitiveness has done me few favours; my main competitor (and critic) has always been myself. This envy was gradually augmented by a growing sense of autonomous self-conception, whereby I grew to understand the things that were of value in my life. This I later saw as having a sense of (self-generated) purpose. Purpose is important. Intrinsic reward trumps extrinsic reward every time. The side-effects of ‘success’ are not unwelcome (for example my earnings from my writing) but they were never a significant motivator in themselves – and pale compared with the rewards of gaining expertise. Extrinsic rewards can be perversely limiting. Knowing stuff is fun, and starts a virtuous cycle. A good factual grounding is empowering and provides the foundation upon which further insight is built. There is a buzz in encountering something new that somehow ‘fits’ with what you already know, but which offers a new angle on it. Expertise and refinement make you appreciate things that others don’t see; depth is rewarding. Mastery is important – but not in simple ways. Getting better at something is pleasing, but it can also lead to complacency. Accepting that you don’t have mastery can create a powerful hunger to get better. Flow is a massively important motivator. Things that provide deep reward (but also challenge) make learning so easy it is unconscious. It is commonest to experience flow in things that have that initial buzz for you – but the more you experience it, the more it becomes possible to find it elsewhere. But looking too self-consciously for such things makes them disappear. Long-term effort is nearly always worth it. Formal instruction is not always enjoyable but it is a necessary discipline particularly in the early stages while key competencies are being acquired. I gained most from being given a strong lead, if only because the structure provided a useful discipline for keeping going, before the benefits of perseverance had really become self-evident. Discipline boundaries are necessary but artificial. I started out with a few specific areas of interest – but as my knowledge grew, it expanded into disciplines far from where I started – let alone where I ever expected to find interest. But learning is not necessarily transferable: playing the guitar is not much help in learning the trombone. Problem-solving is a great way of learning. Experimenting with one’s knowledge develops understanding (this is what is valuable about a ‘tinkering’ hobby such as model-making). But it only works once one has a reasonably secure command of the requisite knowledge and skills, otherwise it degenerates into unproductive dabbling. Some experiences provide insights that are intense enough to appear self-evident. But one must remember that they may not be so for everyone. People in different disciplines often think in very different ways and tolerance is a virtue. It is unlikely that one will ever learn everything without any guidance along the way – even from unexpected sources. Maybe life’s lessons can only be learned at life’s pace. I wish someone had explained some of these things to me when I was younger (although whether I would have listened or understood is another matter entirely…). The key to it all is the Enquiring Mind. If you have one of those, then the sky is the limit. If you don’t, then nothing will work very well, and life will be dull. Exam results are not a reliable signifier of an active mind. I am still left wondering how one might fully appreciate such insights, other than through one’s own experiences. That, after all, is where wisdom actually takes root – in our own minds – and technical competence alone does not a truly great musician (or teacher) make. The question is, how can we best translate them into something useful to our pupils? I am not convinced that treating education as an economised ‘good’, a technocratic hoop-jumping process – or as a form of amorphous self-discovery-through-play – even get near the matter. I suspect that traditional scholars knew more than we sometimes credit. The grace of a soaring bird is not in its understanding of aerodynamics. 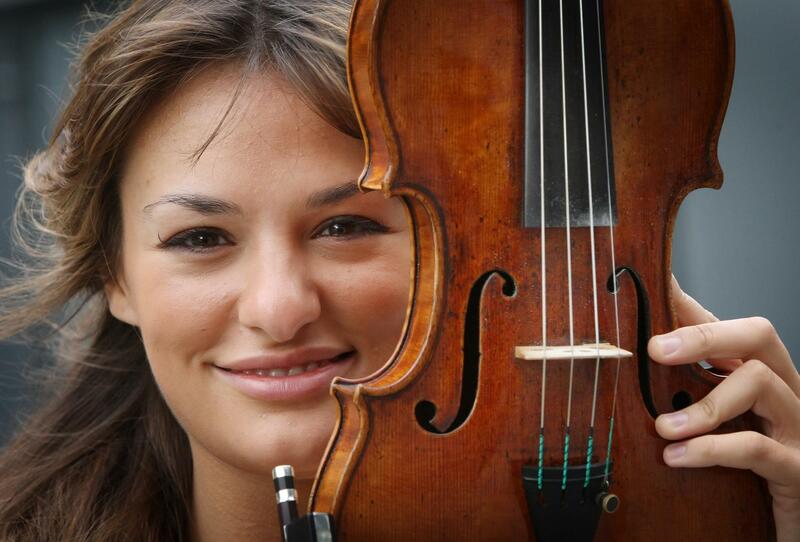 The intense beauty of Bruch’s Violin Concerto is not visible on Nicola Benedetti’s Grade 8 music certificate. And I suspect that some of the world’s greatest sporting moments were more a product of chances seized than any premeditated plan. No matter how important the 10,000 hours, it’s having something ‘in your bones’ that counts. I was party to a discussion about what a school should do if and when it is awarded ‘Outstanding’ by Ofsted. The other curious thing about top marks – be they Ofsted gradings or league-table positions, is that not all schools get there by the same route. I have read several interviews with heads of very successful schools, who seemed almost surprised to have received accolades, as they were ‘just doing what they always did’. One was adamant he did nothing to prepare for Ofsted, at all. Other schools, on the other hand (probably the majority) sweat blood to attain such heights, and then risk paranoia at their fear of falling. What do some schools have in their bones what others drive themselves into the ground to achieve? I’m not convinced there is only a single route to success; even Ofsted passes no comment about how one reached the target, simply that one did; as far as I know, it makes no public comparison between different strategies for getting there. Some approaches grind their way up to where others seem to be simply soaring: same result, but one route is a lot more painful than the other. The obvious, if mechanistic approach seems to be rigorous control over all aspects of what the school and the personnel within it do. Strict quality control and strong accountability will pull every one into line and ensure that they deliver the best – assuming, of course, that you can correctly identify what ‘best’ is. But I’m not so sure. While those surprised head teachers might indeed have been doing those things behind the scenes, it doesn’t really explain their surprise. Maybe they were just lucky with the raw quality of their students and innate talent of their staff – or maybe they found another, more oblique route. The problem with grind is that it tends to be self-defeating. Much has been written on the demotivating effects of strident management and excessive control. Daniel Pink’s excellent book ‘Drive’ defines the problem. To motivate people, you need to respect their desire for autonomy, mastery and purpose. You also need to tap into their intrinsic reasons for doing things, rather than trying to bolt-on incentives, whether of the carrot or stick variety. You need to create opportunities for what psychologist Mihaly Csikszentmihalyi calls Flow. In other words, the opposite of all the things that conventional wisdom says you should do. The basic logic is unnervingly simple: people do better when they’re happy. I’m a classic example of this: highly internally motivated (for example in my music – and my reflecting about education) – but if someone started directing me to do it, setting me targets and ultimata, the motivation would very soon dry up. Contrary to what a carrot-and-stick outlook might expect, the very experience of being manipulated saps people’s energy and interest. This would be made all the worse by the increased difficulty of action. The inevitable imposed routines, procedures and checks would divert my time and energy away from my core purpose, remove my autonomy – and very probably further drain my enthusiasm as well. The success criteria imposed to assess my progress might well not be congruent with my own motivation and may not therefore reflect what I am actually trying to achieve. For spice, some added threats about what could happen if I didn’t meet the target might tempt me to game the system, my original motive replaced by a more primitive fear and desire to fend off bad consequences at any cost. There is a story of three medieval stone masons carving sculptures for a cathedral in Italy. When asked what they were doing, the first said, “I am carving the most beautiful sculptures from stone”; the second said, “I am helping to make a beautiful building for our city”, while the third replied, “I am building to the glory of God.” Which was right? And what would have happened if you were to tell one of the masons he was “wrong”? In fact, there is nothing wrong in allowing all three to go on following their own motivations – they are still working in complete harmony. Ofsted’s Outstanding grade is a confected and artificial benchmark, even allowing for the commodification of a word that should be used exceedingly sparingly. Reaching it has the effect of homogenising procedures and narrowing goals, but it does at least bring to a school a degree of freedom from being under the cosh. Just as Nicola Benedetti undoubtedly had to work through the grades before she became a virtuoso soloist, I can accept that such a process is probably necessary. But simply to carry on to grades nine and ten (if they existed) would not, in my mind constitute going ‘beyond outstanding’, more a failure of imagination. Miles Davis said of genius, “Don’t play what’s there, play what’s not there”. I think it is the same with education. The real quality is not in the mechanics – it’s what comes when you set practitioners free to follow their instincts – even if it means sometimes breaking the rules. Genius is not characterised by adherence to mechanical rules, and real education (as in what happens inside people’s brains rather than computer spreadsheets) is simply not a definable, quantifiable entity that can be pinned down as though we are assembling a Big Mac. It requires individuality, intuition and creativity – the very things that are so difficult to do on command. For school managements, that offers a fearsome prospect – it implies less management for a start – but I suspect it is nonetheless what those surprised heads do. John Tomsett, the head teacher from York, has written about the need to trust his staff, to learn from what they say and do, to remove unnecessary constraints, and to create the possibility for them to flourish as individuals – both inside and outside school. That is what will make them great teachers in the true sense of the word. He has had the confidence to let go, and believe that his staff will strive for their best. It will actually deliver more. I think it was the boss of 3M who said, “Hire good people and get out of their way”. He was right; my experience of recent educational developments is that they have simply made my job (and life) much harder; that the quantity of work has been increased for comparatively little gain in quality (that’s an inescapable trade-off). In fact, I have been taken away from my core purpose, and in the process had my inner motivation quashed and replaced with an inferior, imposed replica. My happiness and drive decreased; I have had to fight a hard inner battle to preserve them. I’m not sure what all the answers are to “what next” – but given recent experience, I’m certain that it isn’t more of the same. A paradigm-shift is needed, and I hope the foregoing (and the wider content of this blog) might point if not the, then a way.